Krone continues to build its expertise in the tyre sector and has once more improved the quality of its own "Easy Rider" range. Thus, Krone is presenting its new concept in Hanover, which impressed with a five-ton load carrying capacity for all single sizes. This means: From the classic 365/65 R 22.5 through the future-compatible 385/55 R 22.5 all the way to the jumbo sizes 435/50 and 445/45, both at 19.5 inches, Krone is the only manufacturer to offer five tons of load carrying capacity over its entire range of tyres. Furthermore, the rolling resistance has been further minimised. 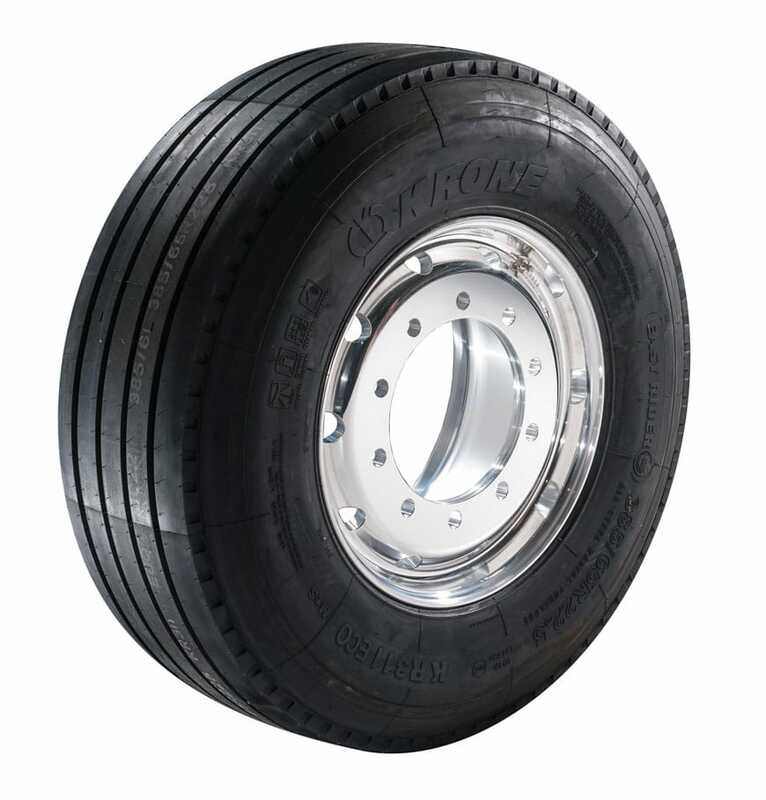 Starting with the most important tyre sizes in the trailer sector, the 385/65 R 22.5, Krone delivers the "A-labelled" Easy Rider for the best possible fuel consumption. The new Easy Rider K 311 can contribute fuel savings of up to 0.5 litres per 100 kilometres with a full load on the three-axle unit. Krone has been offering its own Easy Rider tyres since 2011; meanwhile, Krone installs about 70,000 Easy Rider tyres every year. About 15 percent of its own tyre production streams into the retrofitting and spare parts market. The TÜV-certified and noise-optimised Easy Rider premium tyres stand out with their fuel saving characteristics, combined with high mileage life and exemplary grip in wet conditions.